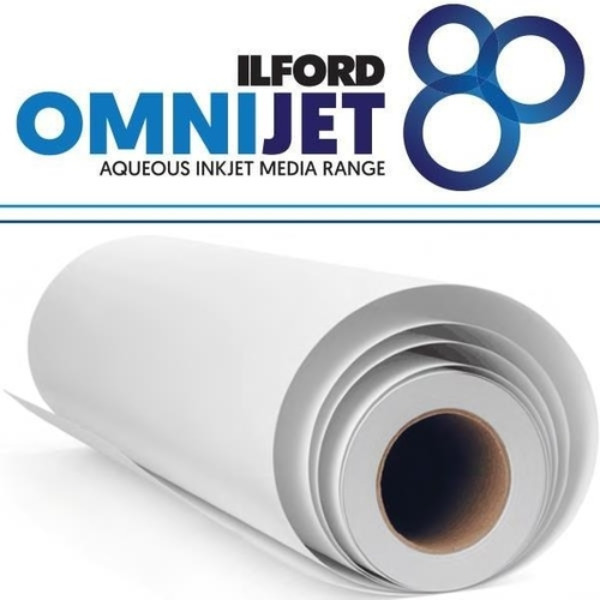 Ilford Omnijet Glossy Photo White Film is designed for durable point-of-purchase displays. The tear and crease resistant 5 mil Dupont Melinex® base is coated with a proprietary inkjet receiver layer which offers a broad color gamut, excellent drying times and provides eye catching graphic displays. Omnijet Glossy Photo White Film is designed for use with most wide format inkjet printer systems using aqueous dye inks only from major manufacturers.